H.E. 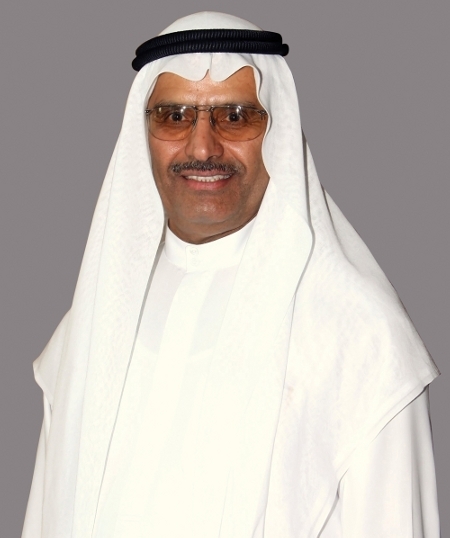 Ahmed Humaid Al Tayer was appointed Governor of the Dubai International Financial Centre on November 20, 2009. He has held numerous government positions, including UAE Minister of State for Finance & Industry between 1983-1997, and sits on the boards of many leading UAE organisations. He is Chairman of the Board of both Emirates NBD bank and the Commercial Bank of Dubai, Vice Chairman of the Dubai Aluminium Company (DUBAL) and a Member of the Board of the Investment Corporation of Dubai. He is Chairman of the Board of Trustees of the Emirates Nationals Development Programme, Chairman of the Emirates Institute of Banking & Financial Studies, Chairman of the Higher Committee for Human Resources Development in the Banking Sector and Chairman of the National Human Resource Development & Employment Authority (Tanmia). Additionally, he is Deputy Chairman of the Emirates Banks Association, Deputy Chairman of the Emirates National Oil Company (Enoc) and a Director at Zayed University. In addition to the government roles noted above, Al Tayer held a number of positions within the Ministry of Finance & Industry beginning in 1973 as Director of the Economic Department. He rose to Director General in 1974, and then to Assistant Undersecretary in 1977, before becoming Minister of State for the Ministry of Finance & Industry in 1983.